The pilot of a Rutan Defiant experimental airplane was fatally injured last Thursday when the plane went down in Plainville, CT. The pilot has been identified as 67-year-old Donald Eckberg of Burlington, CT. Television station WTIC reports that he had departed from Robertson Airport (4B8) in Plainville. VFR conditions prevailed at the time of the accident, and winds were minimal, according to the report. Television station WVIT reports that Eckberg had built the airplane with a friend, Richard Marr. Marr said that Eckberg was a very careful pilot. The plane went down near some condominiums in the area. Several residents reported that they heard a low-flying airplane and then the sound of impact with terrain. Lt. Nicholas Mullins of the Plainville Police Department said that Eckberg was ejected from the airplane on impact. “We had an officer who arrived first on scene right back here. He had to hop a fence and run up there and he saw that the pilot was ejected from the plane,” he told WTIC. 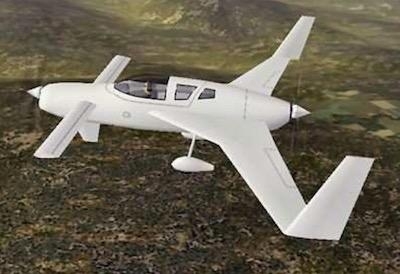 According to Wikipedia, the Rutan Defiant is a twin-engine, four-seat airplane with a pusher-puller configuration. The prototype first flew in 1978. The plane received its airworthiness certificate in 2003. Eckberg's current private pilot certificate was issued in 2012. The pilot was also a licensed experimental aircraft builder and repairman.